I like riding on my jeep, swinging, bubbles, books, puzzles, singing songs like "Wheels on the Bus", airplanes, anything that spins, and I love to EAT! 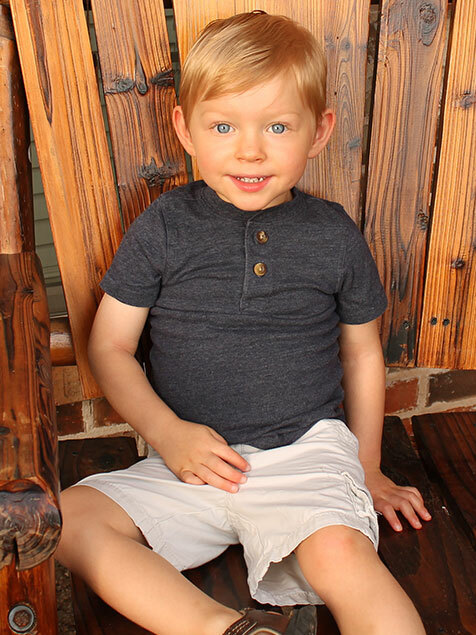 I'm in Pre-School and live at home with Mom and Dad in Texas, United States. I had a pretty normal first 23 months of life. I was talking, playing, laughing and being a normal toddler. On July 4th, 2016, I had a seizure that was the first of many. I now live with daily seizures (tonic-clonic, myo-clonic that typically present with sleep) and am working very hard to gain back my lost function and abilities. I was diagnosed with a rare form of epilepsy caused by a gene mutation on the SCN2a sodium channel. I have also recently been diagnosed with autism. Currently there is no proven cure or treatment. I have a diagnosis of Refractory Epilepsy and Autism. As a family we are learning how to cope with epilepsy and autism, and continue to Hope and Pray for a Cure!